We determine the relationship between the accuracy of the measured diffusion coefficient and the number of elastic probe particle collisions through numerical simulation. Individual Brownian motion trajectories are first generated for identical probe particles that are simultaneously placed on the liquid sample. Conservation laws for linear momentum and mechanical energy are both applied during particle collisions to determine the ensuing dynamics. The diffusion coefficient is then measured through ensemble averaging of the Brownian motion mean-squared-displacements. We have observed a direct relationship between the particle diameter and the most probable number of collisions within a 60 s observation period. In addition, the probe particle collisions introduce a deviation on the mean-squared-displacement that affects the measurement accuracy of the diffusion coefficient. A linear relationship is found between the number of observed collisions and the deviation between the measured diffusion coefficients. A. T. Cusi, G. Tapang, and C. Saloma. 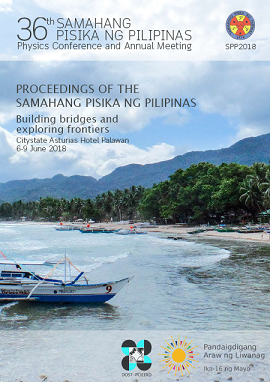 Probe particle collisions and measurement accuracy of diffusion coefficient via Brownian motion, Proceedings of the Samahang Pisika ng Pilipinas 36, SPP-2018-PC-01 (2018). URL: https://paperview.spp-online.org/proceedings/article/view/SPP-2018-PC-01.